Time with your car is mostly spent from the inside than the outside… So why not make it a unique experience? House of Dubs is not just about wheels and tires. We can customize many different aspects of your car’s interior. We have accessories and parts that make your car easier to use, luxurious and exotic trim paneling, various audio and video options, and many more. We have a staff of factory trained specialists so we install everything in-house. We even have a waiting area in our customer friendly showroom if your project will only take a few… Same day services include car audio, alarm and remote start installation, among others. See our list of customizations or check out our photos for an idea of what we can do. Remember, the following lists are just a sample of our more popular upgrades. If you don’t see what you want below, please call to inquire about your specific project… Chances are, we’ve already done it! Make your car look and feel more luxurious! Customize your interior with your choice of leather, suede and wood grain in a variety of colors and combinations. We can re-upholster anything in you car including the headliner, seats and door panels. Dress up your dash with our dash kits which are available for many different makes and models. Finishes include carbon fiber, wood grain, and more. For that extra personal touch, we can also monogram fabrics in different styles. Your name or vehicle logo on the seats and carpet are among the more popular choices. 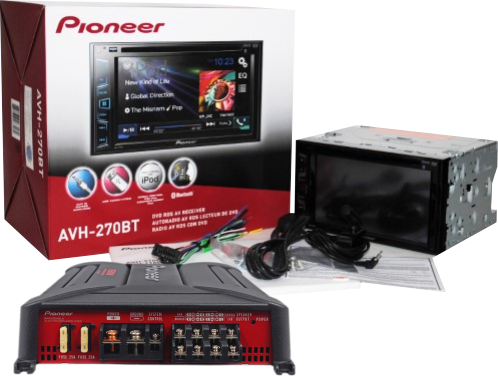 Long gone are the days where a decent stereo system was all you could accomplish with your ride. 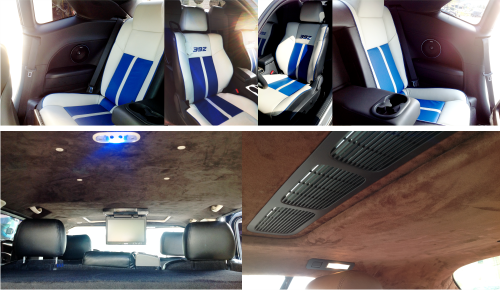 At HOD, we can transform your vehicle to a full multimedia experience. We can install units with built in navigation and dvd player, playing video to screens behind your seats’ headrests. We can also custom mount backup cameras and others around the vehicle as driving aids if you have a large van, SUV or truck. 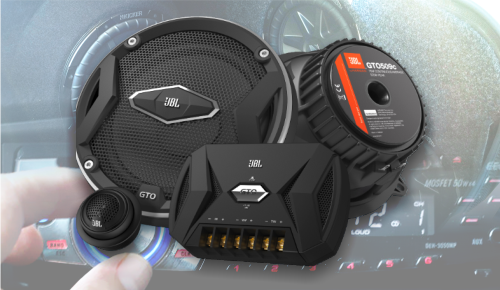 We can create custom audio systems that fit your ride and provide the best sounds possible. 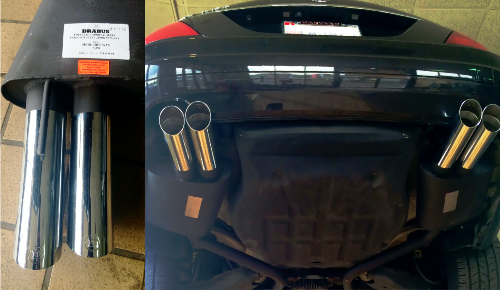 Whether you want a show car audio system or just something with a little more “thump” than your factory stereo, House of Dubs is the only one true choice! Protect your investment! House of Dubs can help secure your vehicle by installing an alarm with extensive features such as keyless entry, trunk release, and remote start. 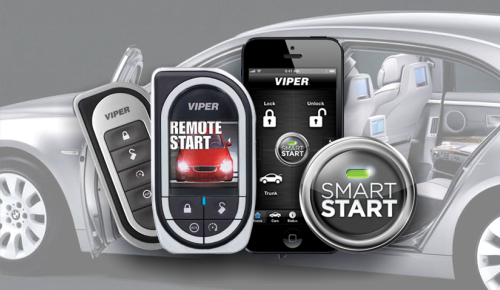 Starting your car with a remote is a great feature and can be used all year round. Depending on the weather, you can blast the heat or air conditioning so your car will be nice and comfortable before you step in. 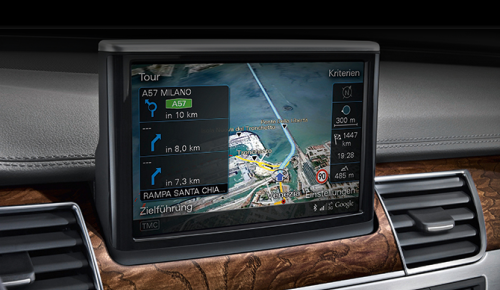 You can even find your car in a crowded parking lot using this feature! Certain alarm brands now also come with smartphone connectivity. No need for that old school remote anymore. You can be instantly alerted by your phone when your car is in trouble! Stop thieves instantly before they take away your brand new wheels! Smart technology is everywhere nowadays. So why not have it in your car? 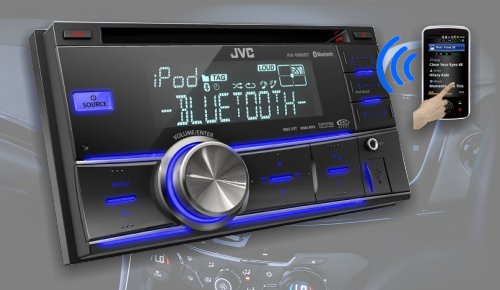 We have units that can connect your ipod, smartphone and bluetooth wireless device to your car stereo for the unlimited playback options! Imagine listening to your ipod or streaming Pandora with no commercials during your commute, or navigation playing through your speakers so you don’t miss a turn. You’ll even have hands-free calling for less distractions while driving. We can recommend solutions based on exactly what your looking for. Our technicians perform installations in-house so you can drive home blasting your own music collection! Installation services available as well. Please contact us for a quote on your specific project. Why stop on the inside? 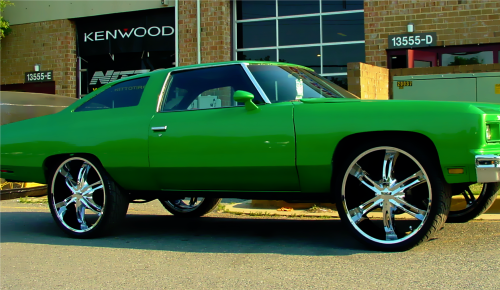 House of Dubs offers custom accessories and parts around the outside of your vehicle as well. There are many customizations to choose from ranging from HID kits to oversized brake calipers. These pieces not only add eye candy, but can improve your car’s performance and drivability as well. Please call if you don’t see your specific application below (we’ve done thousands of cars over the years and it’s almost impossible to list every project). 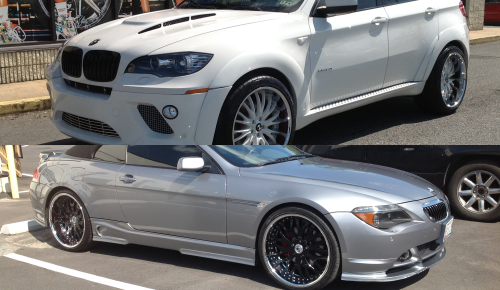 We can make your car look good, and drive even better! Looks are only half the story when it comes to customizing rides. House of Dubs can also get you the go fast pieces you are looking for and install them as well from custom brand name intake kits & exhausts, big brake kits, to the latest carbon fiber offerings such as hoods, fenders and doors. Wondering how to fit those 34s on your ride? Or are you looking for that stanced, hellaflush look? Whether you want your vehicle lifted in the air or lowered to the ground, House of Dubs is the go-to place to modify your suspension. Customizations range from mild coilover installations to wild monster truck-like conversions. House of Dubs can help you ride in style… Literally. Vertical doors (also known as lambo or scissor doors) are vehicle doors that rotate vertically at a fixed hinge at the front, rather than outward like a conventional door. This option used to be reserved for luxury supercars, but kits are now being produced for many makes and models! House of Dubs has vast experience installing these kits so we can guarantee putting these hinges on right the first time. Don’t risk damaging your car’s frame or paneling by taking it somewhere else! With many different types of bed covers, House of Dubs can help pick which is the right one for you. 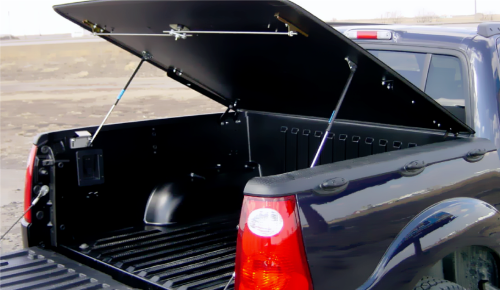 We offer a wide selection of flat covers, lids and truck caps and can install them while you wait. 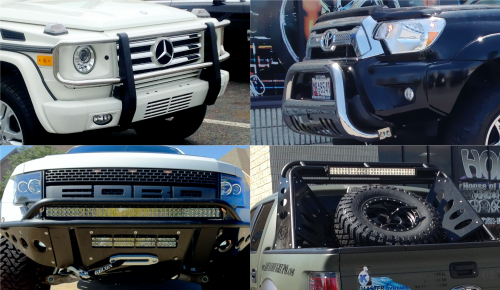 House of Dubs has high quality front bull bars that can greatly improve your SUV’s safety. There are many brands with different looks from front impact to wider off-road styles complete with headlight brush guards and a winch. We offer side step bars & running boards as well. Why struggle to get into your newly lifted truck with mud tires? Give your vehicle a more aggressive look! 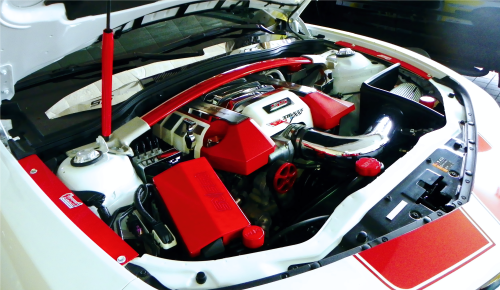 We offer aero pieces and ground effects kits for many sports cars, luxury cars, even SUVs! High quality flex fiber body kits are available for just about any car or truck, along with fender flares, carbon fiber hoods and spoilers. Widebody options are also available. With endless combinations for any vehicle, House of Dubs can help you pick the right look and professionally color match and install all the parts in-house. Upgrading your vehicle’s lights favor both looks and safety. Road visibility is improved for you as well as your visibility to other drivers. 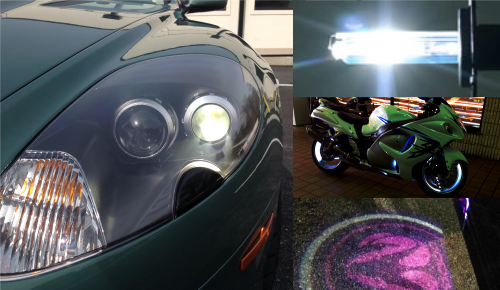 House of Dubs has a wide selection of lighting upgrades like HID conversions, headlights, and even motorcycle LEDs. These parts and accessories are a great place to start customizing your ride and can make all the difference to that finished show car look. House of Dubs can help you start easy with a billet grill or go big with a whole engine dress up kit!